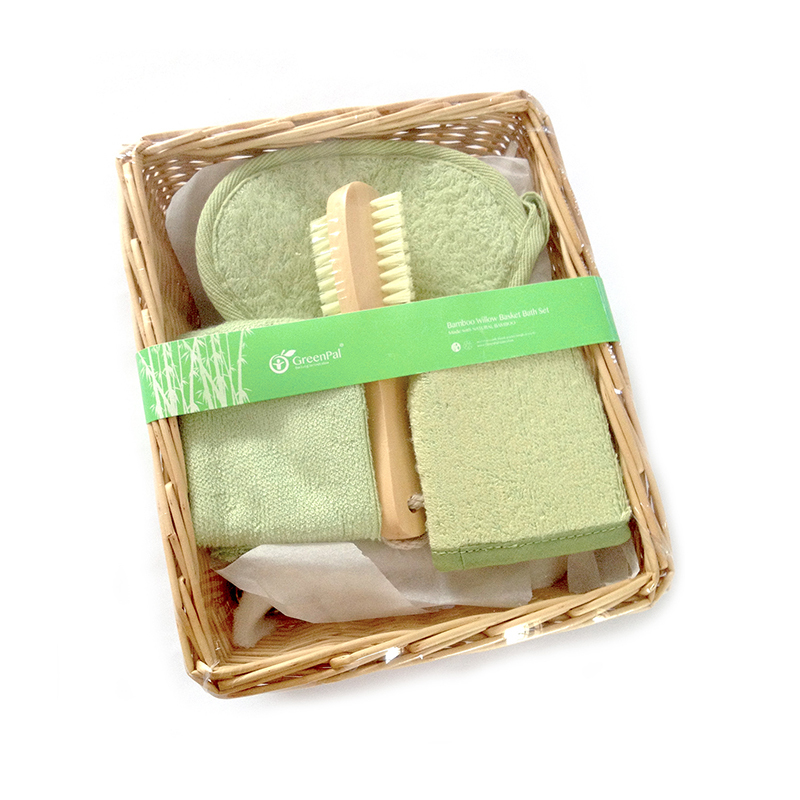 Bamboo Willow Basket Bath Gift Set is incredibly gentle on your skin. It consist of, bamboo oval bath pad, bamboo fiber face scrubber, bamboo fiber hankerchief and wooden brush. And, as with most Bamboo products, the more you use it the softer it gets. ..